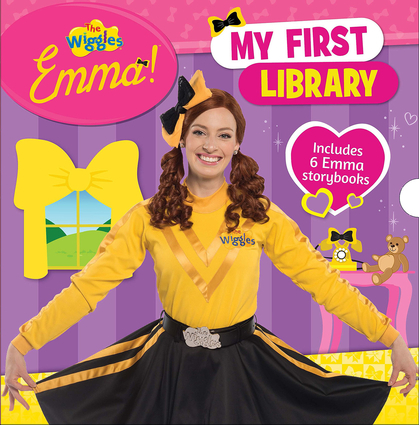 Delight young Emma Wiggle fans with six Emma hardcover storybooks in a handy slipcase! Each story features the yellow Wiggle in and adventure that extends the Wiggly world that young fans and their families know and love. Titles include Dial E For Emma!, Emma's New Glasses, Emma and the Mystery Shoes, Cinderemma, Emma's Ballet Class and All About Emma.